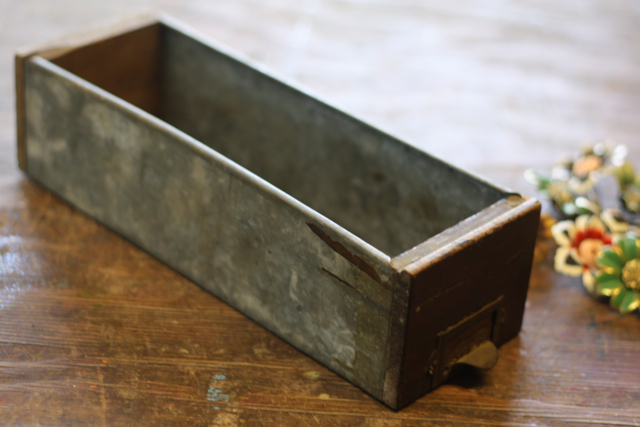 Over the last few months we have been gathering fun antiques and props for upcoming events. 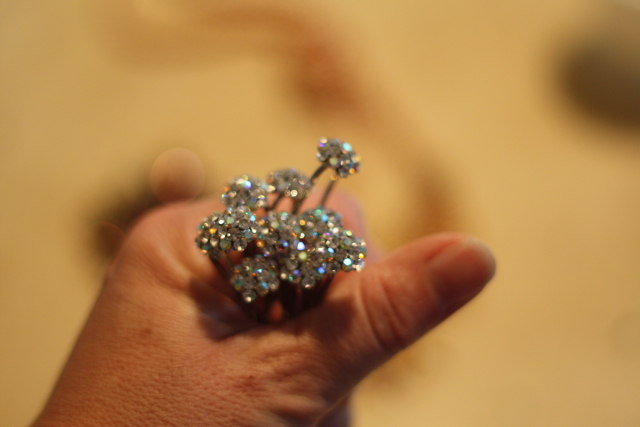 We love, love, love, finding that special something that sends your event over the edge. Feel free to contact us if there is anything you need, if we don't have it, we can probably find it!!! 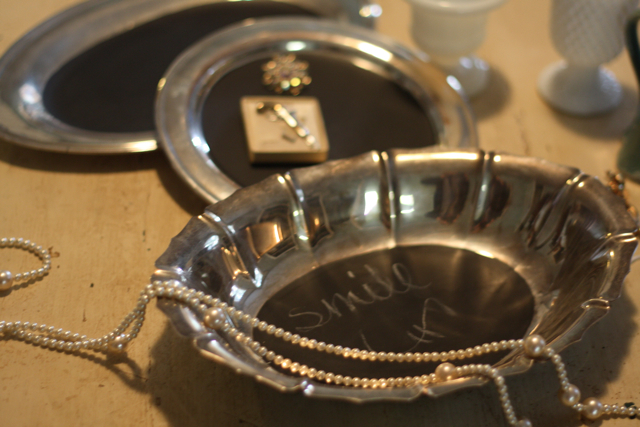 My latest and most favorite find our these sweet little silver platters and bowls. 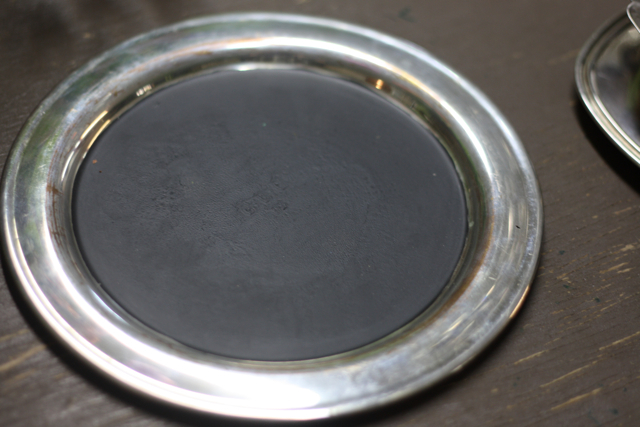 The base of the platter has been turned into a chalkboard. We know these will come in handy on guest book and place card tables. In fact we are trying to find enough to use them for table numbers. We LOVE this idea. 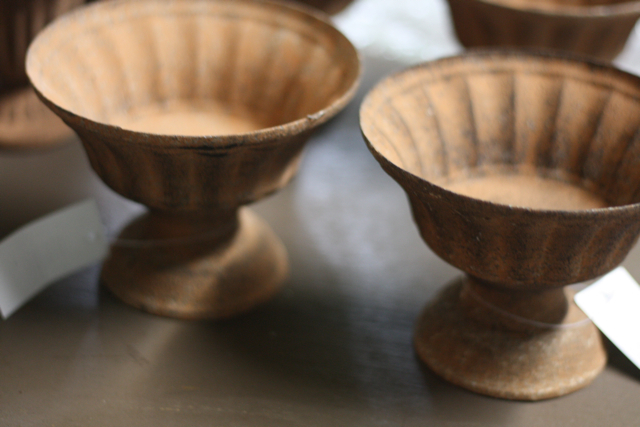 These sweet little tin urns are going to be a lovely touch to some of our garden parties. 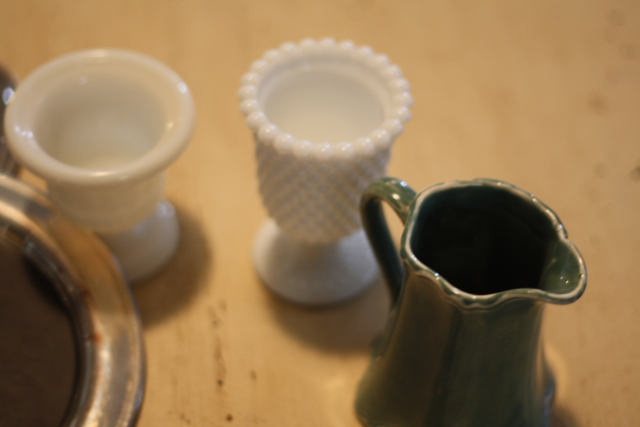 These miniature milk glass vases have been added to my outrageous collection of vintage containers. They are so small I can use them on the top of a cake. We are dying to use these. 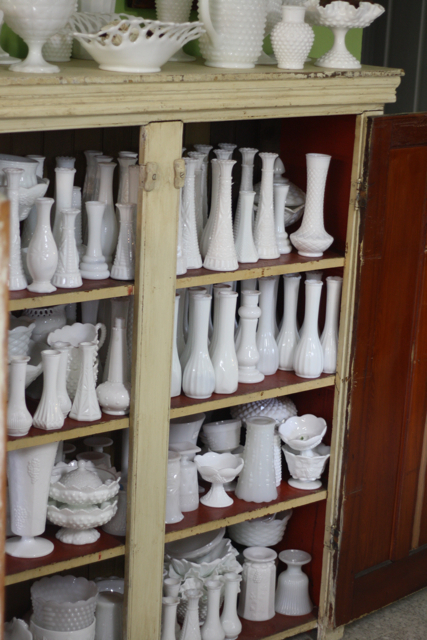 Speaking of milk glass have you seen our collecting? 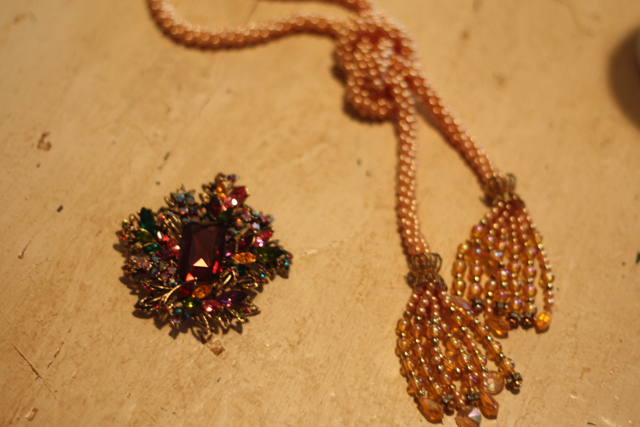 We've also been buying bling, lots, and lots, of bling. These are hair pins that we found in NYC. Next time you see them they will be in the middle of one of my bouquets. 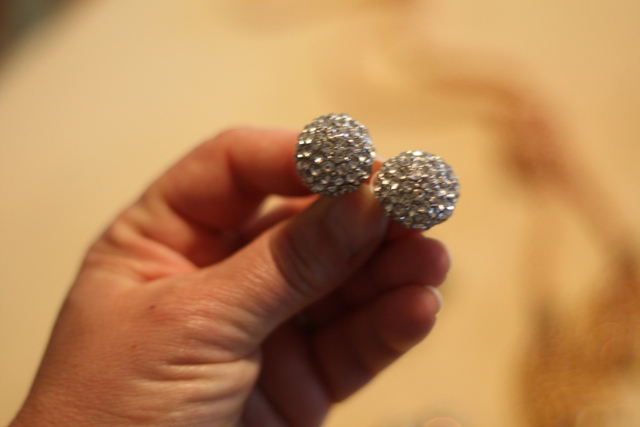 We even bought earrings that we will convert into adornment for our bouquets. These little beauties are antique curtain fobs. 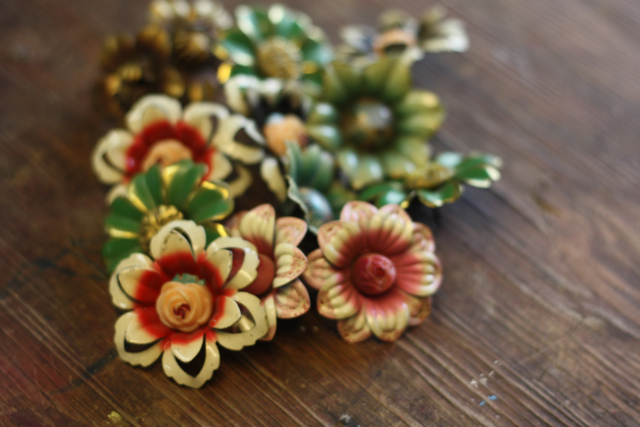 These will be used in bouquets or to pin up place cards. Fabulous idea right? 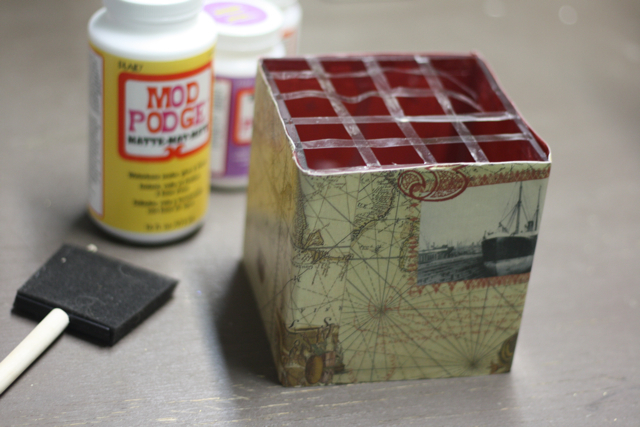 We also have been practicing our decoupage moves. We are excited about using these containers next week. These library card drawers will be used for my "library bride." We will fill them with flowers or mini bud vases. Yes I think we are off to an incredible start. 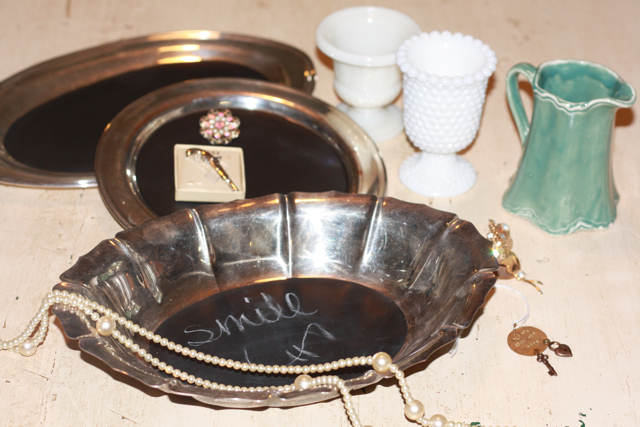 Many of these items were gathered right here in Lucketts at On A Whim Antiques. 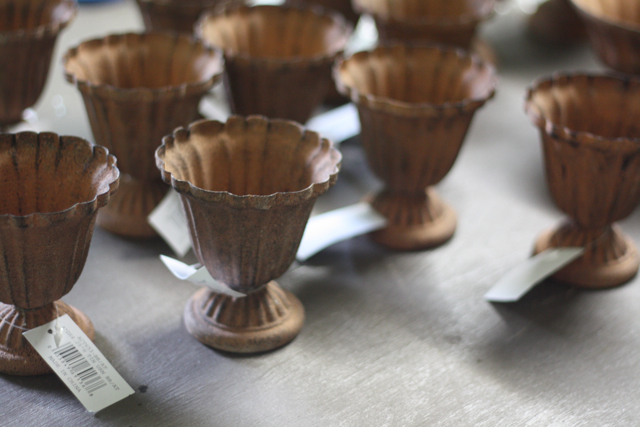 Tags: On a Whim Antiques, lucketts, vintage wedding props, Holly, wedding bouquets. Can I get married again?? What great finds! I can’t wait to see all of these details coming together this wedding season. I especially love that library drawer. You are so good to your brides! Oh my gosh I am so excited. I cannot wait to see you next weekend! Holly! I just snagged 170+ hardback vintage books for us! Love the library boxes – can’t wait to start plotting in May! Go Library Bride go!!!! Get those vintage books, we are gonna need them.